درایت, جمشید, جعفری مطلق, زینب, پیرصاحب, مقداد, زینتی زاده, علی اکبر, بذرافشان, ادریس. (1394). کارایی فرایند انعقاد الکتریکی در تصفیه آب سطحی با استفاده از الکترود آلومینیوم. مجله آب و فاضلاب, 26(6), 50-59. جمشید درایت; زینب جعفری مطلق; مقداد پیرصاحب; علی اکبر زینتی زاده; ادریس بذرافشان. "کارایی فرایند انعقاد الکتریکی در تصفیه آب سطحی با استفاده از الکترود آلومینیوم". مجله آب و فاضلاب, 26, 6, 1394, 50-59. درایت, جمشید, جعفری مطلق, زینب, پیرصاحب, مقداد, زینتی زاده, علی اکبر, بذرافشان, ادریس. (1394). 'کارایی فرایند انعقاد الکتریکی در تصفیه آب سطحی با استفاده از الکترود آلومینیوم', مجله آب و فاضلاب, 26(6), pp. 50-59. درایت, جمشید, جعفری مطلق, زینب, پیرصاحب, مقداد, زینتی زاده, علی اکبر, بذرافشان, ادریس. کارایی فرایند انعقاد الکتریکی در تصفیه آب سطحی با استفاده از الکترود آلومینیوم. مجله آب و فاضلاب, 1394; 26(6): 50-59. دسترسی به آب آشامیدنی سالم یکی از اهداف مهم برای حفظ بهداشت عمومی است. این پژوهش، یک مطالعه توصیفی- مقطعی بود که با هدف بررسی عملکرد فرایند انعقاد الکتریکی در تصفیه آب سطحی انجام شد. نمونه‌های آب از آبگیر سد سلیمانشاه سنقر تهیه شدند. فرایند تصفیه در یک راکتور به‌صورت ناپیوسته انجام شد. طراحی دوره‌های آزمایش با استفاده از نرم‌افزار دیزاین اکسپرت انجام شد. اثر متغیرهای پتانسیل الکتریکی (5 تا 25 ولت)، زمان واکنش (20 تا 60 دقیقه)، دما ( 10 تا 30 درجه سلسیوس) و دور همزن (200 تا 400 دور دقیقه) بر راندمان حذف آهن، منگنز، سختی، قلیائیت و کدورت از آب سطحی با استفاده از الکترود آلومینیوم بررسی شد. بعد از تصفیه، پارامترهای مورد مطالعه و مقادیر فلز محلول ناشی از آزادسازی الکترود آند اندازه‌گیری شد. در تصفیه با فرایند انعقاد الکتریکی حداکثر راندمان حذف آهن 2/96 درصد، منگنز 6/94 درصد، سختی 6/26 درصد و قلیائیت 2/12 درصد به‌دست آمد و کدورت از 6/0 به NTU15/0 کاهش یافت. در این شرایط مقدار فلز محلول آلومینیوم بیشتر از سطح استاندارد آب آشامیدنی بود. نتایج نشان داد که فرایند انعقاد الکتریکی در حذف پارامترهای مورد بررسی از آب سطحی مؤثر است. مقدار فلز محلول در اثر انحلال الکترود آند حائز اهمیت بهداشتی است و استفاده از این روش را در شرایط حداکثر راندمان حذف محدود می‌کند. در شرایط بهینه، فرایند انعقاد الکتریکی با الکترودهای آلومینیوم، یک روش پیش‌تصفیه مناسب است. Access to safe drinking water is an important means of safeguarding public health. This cross-sectional study was designed to investigate the performance of electrocoagulation in the treatment of surface waters. For this purpose, water samples were taken from the intake to the Soleymanshah-Songhor Dam. Treatment was carried out in a reactor operating in the batch mode. Experiment runs were designed using the Design Expert Software (Stat-Ease Inc., Version 6.0.6) to investigate the effects of voltage (5-25), reaction time (20-60), temperature (10-30Ċ), and rapid mixing (200-400) on the Mn (II), Fe (II), hardness, alkalinity, and turbidity removal efficiencies as a result of treatment with aluminum electrodes. After the treatment process, the study parameters and the dissolved metal content due to the dissolution of the anode electrode were measured. Maximum removal efficiencies for Fe (II), Mn (II), hardness, and alkalinity were 96.2%, 94.6%, 26.6%, and 12.2%, respectively, while turbidity reduced from 0.6 to 0.15 NTU. Moreover, the dissolved Al content in the treated sample was found to be higher than the standard limit allowed for drinking water. Thus, the electrocoagulation process seems to be effective in the removal of the investigated contaminants from surface waters. However, the factor limiting the use of this method under maximum efficiency conditions is the dissolved metal content due to the dissolution of the anode electrode, which is a significant concern for the public health. In contrast, the electrocoagulation process seems to be an efficient and safe pretreatment method using aluminum electrodes if operated for achieving optimum efficiencies. 1. Radjenovic, J., Petrovic, M., Ventura, F., and Barcelo, D.(2008). “Rejection of pharmaceuticals in nanofiltration and reverse osmosis membrane drinking water treatment.” Water Research, 42, 3601-3610. 3. Betancourt, W., and Rose, J. (2004). “Review drinking water treatment processes for removal of Cryptosporidium and Giardia.” Veterinary Parasitology, 126, 219-234. 4.Vasudevan, S., and Lakshmi, J. (2011). “Effects of alternating and direct current in electrocoagulation process on the removal of cadmium from water – A novel approach.” Separation and Purification Technology, 80, 643-651. 5. Gomes, J., Daida, P., Kesmez, M., Weir, M., Moreno, H., Parga, J., Irwin, G., McWhinney, H., Grady, T., Peterson, E., and Cocke, D. (2007). “Arsenic removal by electrocoagulation using combined Al–Fe electrode system and characterization of products.” J. of Hazardous Materials, 139, 220-231. 6. Yıldız, Y.S., Koparal, A. S., and Keskinler, B. (2008). “Effect of initial pH and supporting electrolyte on the treatment of water containing high concentration of humic substances by electrocoagulation.” Chemical Engineering Journal, 138, 63-72. 7. Kobya, M., Ulu, F., Gebologlu, U., Demirbas, E., and Oncel, M. (2011). “Treatment of potable water containing low concentration of arsenic with electrocoagulation: Different connection mode sand Fe–Al electrodes.” Separation andPurificationTechnology, 77, 283-293. 8. Parga, J., Cocke, D., Valenzuela, J., Gomes, J., Kesmez, M., Irwin, G., Moreno, H., and Weir, M. (2005). “Arsenic removal via electrocoagulation from heavy metal contaminated groundwater in La Comarca Lagunera M´exico.” Journal of Hazardous Materials, 124, 247-254. 9. Chou, W., Wang, Ch, and Chang, Sh. (2009). “Study of COD and turbidity removal from real oxide-CMP wastewater by iron electrocoagulation and the evaluation of specific energy consumption.” Journal of Hazardous Materials, 168, 1200-1207. 10. 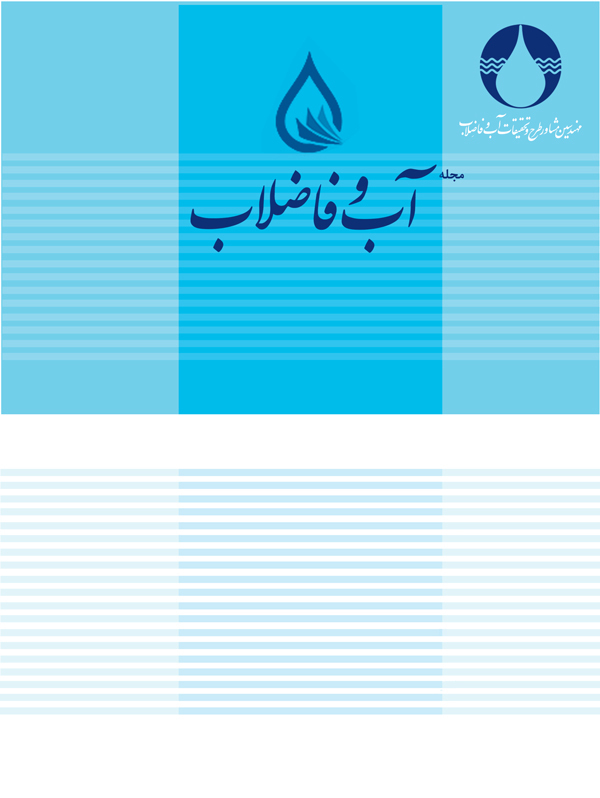 Dalvand, A., Jonidi Jafari, A., Gholami, M., Ameri, A., and Mahmoodi, N., M. (2011). “Treatment of synthetic wastewater containing reactive red 198 by electrocoagulation process.” Iran. J. Health and Environ., 4 (1), 11-22. (In persian). 11. Kumar, P.R., Chaudhari, S., Khilar, K., and Mahajan, S.P. (2004). “Removal of arsenic from water by electrocoagulation.” Chemosphere, 55, 1245-1252. 12. Merzouka, B., Gourich, B., and Sekkic, A., Madanid, K., and Chibane, M. (2009). “Removal turbidity and separation of heavy metals using electrocoagulation–electroflotation technique: A case study.” J. of Hazardous Materials, 164, 215-222. 13. Ca˜nizares, P., Mart´ınez, F., Rodrigo, M. A., Jim´enez, C., S´aez, C., and Lobato, J. (2008). “Modelling of wastewater electrocoagulation processes Part II: Application to dye-polluted wastewaters and oil-in-water emulsions.” Separation and Purification Technology, 60, 147-154. 14. Bennajah, M., Gourich, B., Essadki, A.H., Vial, Ch., and Delmas H. (2009). “Defluoridation of Morocco drinking water by electrocoagulation/electroflottation in an electrochemical external-loop airlift reactor.” Chemical Engineering Journal, 148, 122-131. 15. Lacasa, E., Ca˜nizares, P., Sáez, C., Fernández F., and Rodrigo, M. (2011). “Removal of nitrates from groundwater by electrocoagulation.” Chemical Engineering Journal, 171, 1012-1017. 16. Zuo, Q., Chen, X., Li, W., and Chen, G. (2008). “Combined electrocoagulation and electroflotation for removal of fluoride from drinking water.” Journal of Hazardous Materials, 159, 452-457. 17. Malakootian, M., Mansoorian, H.J., and Moosazadeh, M. (2010). “Performance evaluation of electrocoagulation process using iron-rod electrodes for removing hardness from drinking water.” Desalination, 255, 67-71. 18. Seuk Jeong, K., Kim, D., and Joo, G. (2007). “Delayed influence of dam storage and discharge on the determination of seasonal proliferations of Microcystis aeruginosa and Stephanodiscus hantzschii in a regulated river system of the lower Nakdong River (South Korea).” Water Research, 41, 1269-1279. 20. Howards, P. (1985). Environmental engineering, McGraw-Hill Series in Water Resources and Environmental Engineering, N.Y.
21.APHA. (1998). Standard methods for the examination of water and wastewater, 20th Ed., American Public Association. 22. Institute of Standards and Industrial Research of Iran. (2013). Drinking water specifications, 1053 5th Revision. (In Persian). 23. Erdem Yilmaz, A., Boncukcuo˘glu, R. Muhtar Kocakerim, M., Tolga Yilmaz, M., and Paluluo˘glu, C. (2008). Boron removal from geothermal waters by electrocoagulation.” Journal of Hazardous Materials, 153, 146-151. 24. Mollah, M. Y., Schennach, R., Parga, J., and Cocke, D. (2001). “Electrocoagulation (EC)—science and applications.” Journal of Hazardous Materials, 84, 29-41. 25. Bazrafshan, E., Mahvi, A.M., Nasseri, S., and Mesdaghinia, A.L. (2008). “Performance evaluation of electrocoagulation process for removal of chromium (VI) from synthetic chromium solutions using iron and aluminum electrodes.” Turkish J. Eng. Env. Sci., 32, 59-66. 26.Vepsalainen, M., Ghiasvand, M., Selin, J., Pienimaa, J., Repo, E., Pulliainen, M., and Sillanpaa, M. (2009). “Investigations of the effects of temperature and initial sample pH on natural organic matter (NOM) removal with electrocoagulation using response surface method (RSM).” Separation and Purification Technology, 69, 255-261. 27. Vasudevan, S., Lakshmi, J., Jayaraj, J., and Sozhan, G. (2009). “Remediation of phosphate-contaminated water by electrocoagulation with aluminium, aluminium alloy and mild steel anodes.” J. of Hazardous Materials, 164, 1480-1486. 28. Shafaei, A., Rezayee, M., Arami, M., and Nikazar, M. (2010). “Removal of Mn2+ ions from synthetic wastewater by electrocoagulation process.” Desalination, 260, 23-28. 29. Ghosh, D., Solanki, H., and Purkait, M.K. (2008). “Removal of Fe(II) from tap water by electrocoagulation technique.” J. of Hazardous Materials, 155, 135-143. 30. Malakootian, M., and Yousefi, N. (2009). “The efficiency of electrocoagulation process using aluminum electrodes in removal of hardness from water.” Iran. J. Environ. Health. Sci. Eng., 6 (2), 131-136. 31. Rabbani, D., Bigdeli, M., and Ghadami, F. (2012). “Comparing the effect of electrochemical process and alum coagulation in removing turbidity and coliform bacteria from the synthetic wastewater.” Feyz, Journal of Kashan University of Medical Sciences, 16 (3), 273-281. (In persian). 33. Kobya, M., Gebologlu, U., Ulua, F., Oncel, S., and Demirbasb, E. (2011). “Removal of arsenic from drinking water by the electrocoagulation using Fe and Al electrodes.” Electrochimica Acta, 56, 5060-5070.